Thanksgiving is quickly closing in. What favorites are going to be on your table this year? What about new additions? We have all sorts of favorites on our table like my Secret Weapon Sweet potatoes (sure to turn any sweet potatoes hater into a lover), the brined turkey (makes it SO moist) and of course mashed potatoes and gravy (my fav). When I was first married I used to go all out, but now I try to keep things pretty simple and not go overboard. 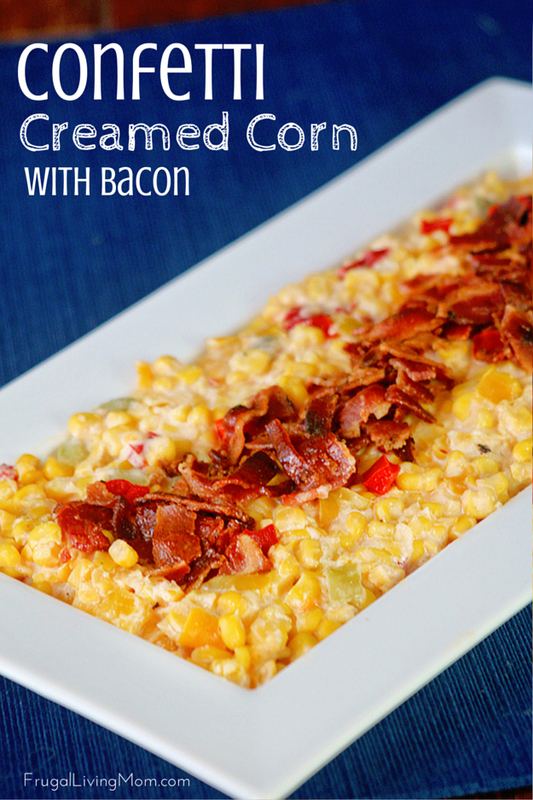 My Confetti Creamed Corn with Bacon is a great dish with an old fashioned feel but with an updated twist. To give it some tang and creaminess I used Non-Fat Plain Chobani® yogurt. Chobani® uses natural ingredients and is high in protein (in fact, one serving has 44% of your daily value) and low in fat so it’s a perfect substitute for cream or sour cream in this recipe. 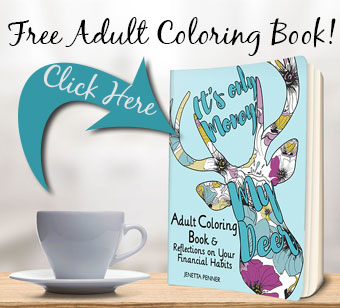 It’s also great for other recipes like parfaits and dips. 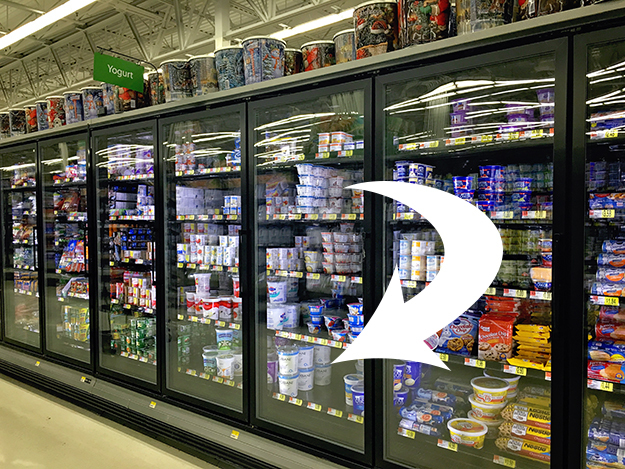 To get all of my ingredients for this yummy recipe I headed over to my local Walmart. It was an easy, one stop shop! 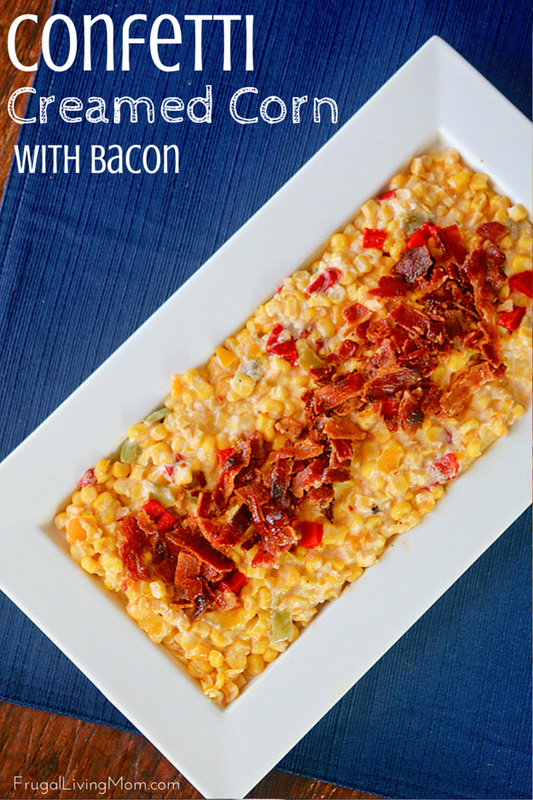 Let me know if you try this recipe for Thanksgiving or think it might be great on your Christmas table! 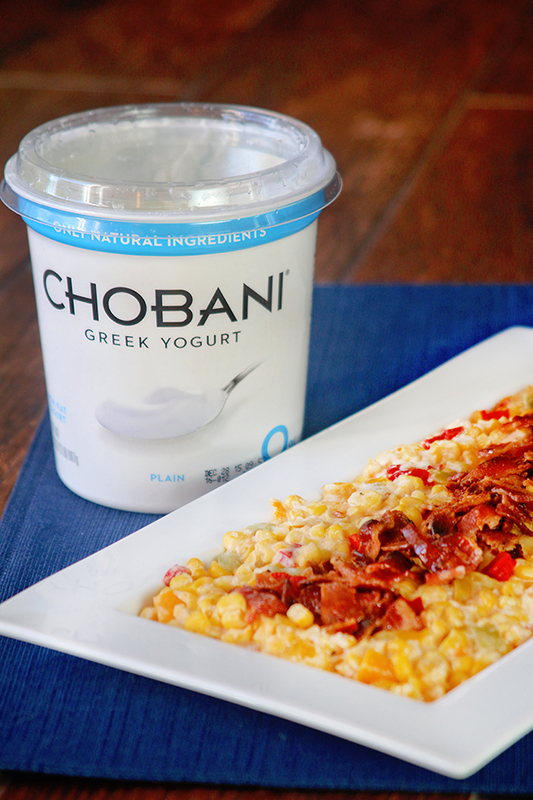 For more great Chobani® recipes head here and you can also check them out on Instagram,Pinterest, Twitter and YouTube. 1 tablespoon bacon grease (reserved from cooked bacon) or olive oil. 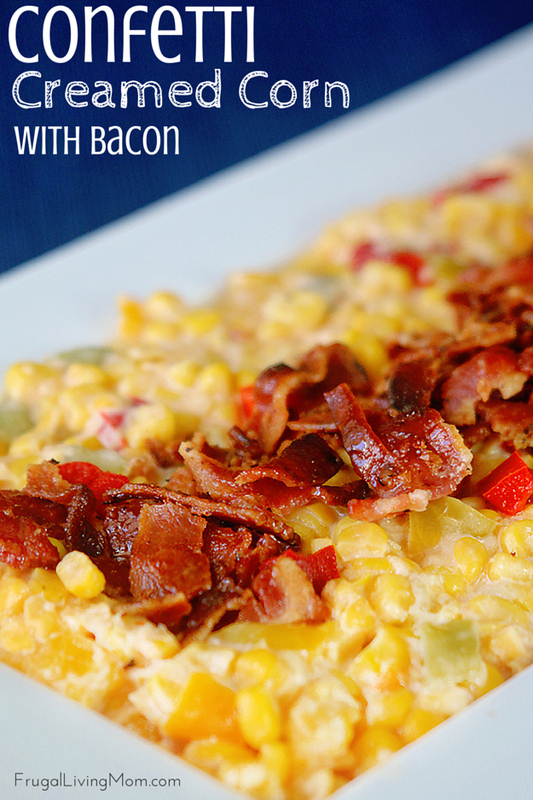 Transfer corn to a plate and top with bacon.